On Linux, files can be erased but still be recoverable. Here's what to do when you really want them gone. The rm command easily makes files disappear from our file listings, but what does it actually do and how can we ensure that files are unlikely to be recoverable? To understand what happens when you remove a file from a Linux system with rm, first think about inodes — those intriguing data structures that keep track of all of a file's attributes (often called "metadata") — that describe the file. This includes its name, its owner and group, what permissions have been established, and where the file's contents can be found on the disk. Next, think about Linux directories. While they take the appearance and character of folders (i.e., merely containers for holding files), they are actually files themselves — files that include no more than the names and inode numbers of the files they "contain." So, what we get is a convenient way to think about directories and files in the same way you might think about the folders and paperwork in your file cabinets (if any of you still have one of those). Your files' content is actually stored, often in chunks, elsewhere on your disk. So, when you remove a file, the file's inode is freed up and the directory file adjusted to remove its references to the file just deleted. The file's data will still be sitting on disk locations that will eventually be made available for reuse. Most of the time, it likely doesn't matter that the content of erased files will still be sitting on your disk. They're often files you just don't need anymore — last month's weekly reports, prior versions of scripts that have since been replaced with better ones, and such. When it does matter, there are a number of tools that you can use to reduce the possibity that someone else might recover them. The shred command will overwrite a file and, optionally, delete it as well. The overwriting will ensure that the data blocks that contain the old content now have different content. Notice how, by default, the content is overwitten in multiple passes. The options used below include z (add a final overwrite with zeroes), v (verbose — display what is happening), and u (truncate and then remove the file after the overwriting is completed). This makes for a serious overwrite of the file's content. 7 files wiped and 0 special files ignored in 1 directory, 0 symlinks removed but not followed, 0 errors occurred. In this example, r will get the wipe command to recurse into directories if they exist, f avoids having to confirm each file's demise, and i makes the command run verbosely (think of this as "i" for "informative"). Another tool for serious file deletion is referred to as "secure-delete", though the command that the package will add to your system is called srm as in "secure rm". Using /dev/urandom for random input. Note how many passes were made to ensure the secure removal of the file. Since there are several choices for how to securely remove files from Linux systems, I decided to run a simple test — making several copies of the same file and securely removing them with each of the three tools discussed above. I used a tool called foremost to try to recover files of the same type from the affected partition. The foremost command took several minutes to run, but it gave me a chance to grab another cup of coffee before sitting back at my desk a few minutes later. To my surprise, this command found more than 51,000 png files (maybe because I had purchased my Ubuntu system second hand). In any case, one point to remember is that files pulled from your disk during a recovery process will not have their original names, since those were lost when the affected directory file was modified along with the file deletion. Instead, your recovered files will have names like 105210720.png. The foremost command has options for selecting the type of file you want to recover (including "all"). Check the man page for details. And keep in mind that it cannot limit your search to a particular directory because, at this point, directories are no longer relevant. You might be pleased to know that I didn't spot any penguins in my recovered files though perusing 51,000 files is quite mind-numbing. 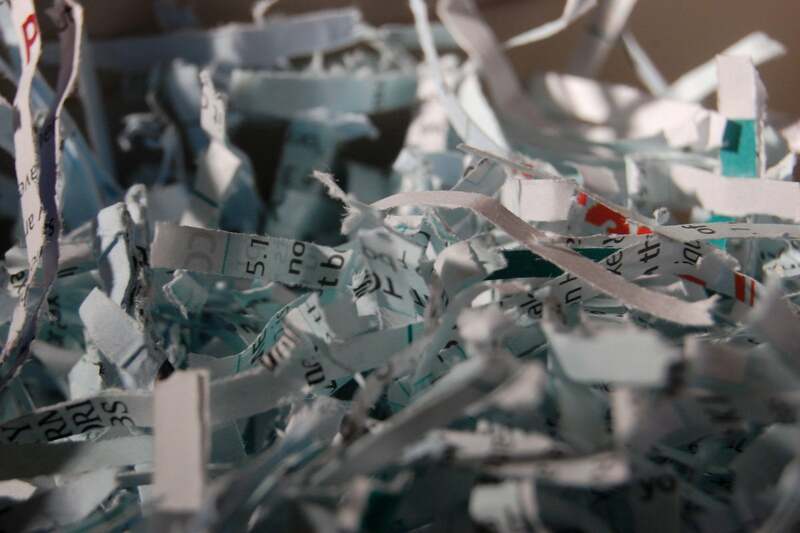 If you are inclined to experiment with shredding, wiping or securely removing files from a system and then using a tool like foremost to see what can be recovered, consider recovering the files to separate media or at least don't simply remove the files when you're done examining them or you'll basically double the number of files you'll be recovering during your next experimental pass. The recovered files are independent of the original files even though they have the same content.